Hello Kingston Families! Please indicate in the comment section if you are only able to volunteer for half of the day. Also, be sure to include your child's name in the comment section. Feel free to email Jenna Counselman at [email protected] with questions. Please contact Alison Gregory at [email protected] to buy a WDD t-shirt for $15 to wear the day you volunteer. Make sure you report to school by 8:15am to check in at the front office, get your radio and head over to the Broadcasting Room for your chance to be on the morning annoucements with your child. Throughout the day, you'll have the opportunity to spend time in your child's classroom, help in P.E. and in the cafeteria and help administration and other teachers with any jobs they may have. 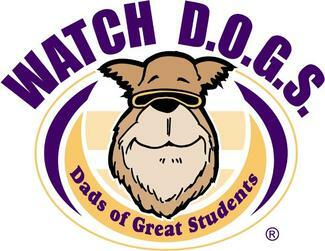 Watch D.O.G.S is such a wonderful program. We think you will really enjoy it. It's a great way to be able to see how your child spends their day! Thanks so much for signing up!